Former presidential contender offers his own thoughts on a stimulus package. Former GOP presidential candidate Mitt Romney is slated to offer House Republicans his policy prescriptions for the ailing economy at a hearing next week to discuss the pending stimulus package. The former Massachusetts governor is scheduled to appear at a hearing next Thursday organized by party Whip Eric Cantor (Va.), where Republicans will outline their policy proposals for a massive economic stimulus bill that could exceed $800 billion. "Last week, President Elect-Obama challenged the House Republicans to help him craft a stimulus bill. We are embracing this challenge and asking as many people as possible to help us create the ideas we need to cut taxes on middle class taxpayers and small businesses," Cantor Deputy Chief of Staff Rob Collins said. "Gov. Romney as a businessman and former governor has the knowledge to know what our economy needs to ensure we create real long lasting jobs and make it easier to raise a family in America." Since last year, Democrats in the House have held a series of hearings on the economy to build the case for a large infusion of federal capital. Earlier this week, President-elect Barack Obama challenged GOP leaders on Capitol Hill to offer their own suggestions for the recovery package. The Republican hearing is a direct response to Obama, one aide said. Republicans are reluctant to criticize the popular incoming president, so members and aides view this hearing as an opportunity to promote tax cuts for businesses and middle-class households. Some congressional Democrats are getting heartburn over a series of proposed tax cuts outlined by Obama aides. Republican Leader John A. Boehner (Ohio) and Republican Conference Chairman Mike Pence (Ind.) join Cantor at the hearing, along with other members of a working group tasked by the leader to organize the party's response to a shrinking economy. Romney fell short in his presidential bid, but the founder of private-equity firm Bain Capital has since become a leading voice inside the party on economic issues, even stumping for his former rival, Arizona Sen. John McCain, on the campaign trail last fall. 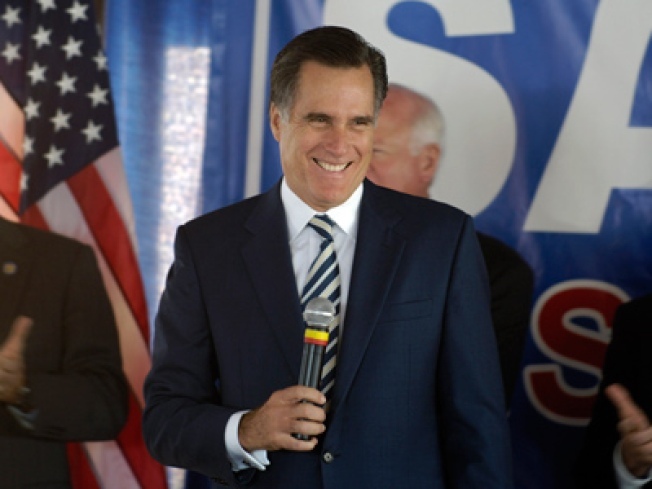 "Governor Romney has a very powerful combination of private and public sector experience and that helps provide a very important perspective to lawmakers," said Kevin Madden, a top adviser on Romney's presidential campaign and a former House leadership aide. "Romney is of great value to Republicans looking for the blueprint on the right policies need to fix the economy and create jobs."